Osteoporosis, often referred to as brittle bone syndrome, is a condition of gradual deterioration of the bones. 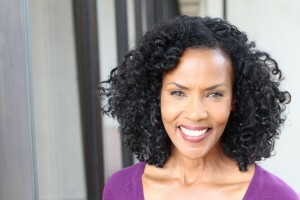 It often occurs with ageing or starts at menopause for women. My research has shown that this is a condition which occurs as a result of breakdown of the left sided magnesium pathway, and is a hormonal imbalance. Hormones that are predominantly produced by the left sided Thyroid production of Thyroxin, adrenal oestrogen and gonadal oestrogen for women and androsterone for men. My heart lock theory links osteoporosis with emotional issues that affect the heart such as heart ache, loss, sorrow, grief and deep depression. This may be as a result of bereavement and loss of someone who you love and who loves you or post-divorce. Women who go through a divorce especially when they have been deserted or left for someone else, is a tremendously difficult situation and is even more aggravated at the time of menopause. So many emotions follow this grief. Disappointment, loneliness, loss of confidence, lack of fulfilment, an end to an investment of building a family and home and loss of social status and acceptance as single women are often forgotten and not included in social events. It is for this reason that treating osteoporosis, which sounds like such a physical condition, can and should be supported with the spiritual/emotional, Phytobiophysics flower and tree formulas. I believe that the underlying cause of health problems lies in emotional breakdown. In other words if you do not take care of the person suffering with osteoporosis , just dealing with the condition is pointless as the patient will not recover. 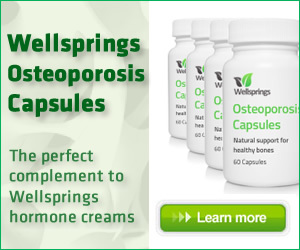 The supplementary support for osteoporosis depends on magnesium and unfortunately magnesium is depleted in the body by stress and unhappiness as well as certain lifestyle situations like lack of exercise, low emission radiation, sitting on a computer all day long and poor diet. This often results in weight gain and further loss of self esteem. Another problem is drinking strong, frequent, cups of coffee and since the world has suddenly become addicted to coffee this does pose another problem. Diphtheria Corynbact causes upper left jaw tooth decay and is also responsible for rheumatic fever, which is a contributory factor to osteoporosis. Vaccine damage from the diphtheria and smallpox vaccine are also contributory factors as well. The supplements that are most important are not only magnesium and kelp but very much the essential fatty acids and by far one of the best sources of essential fatty acids including omega 7 is a berry called Sea buckthorn. One of the lesser understood symptoms of osteoporosis is eye sight disorders, particularly left eye cataract and macular degeneration and of course omega 7 is a wonderful support for the eyes. Omega 3. Oil of evening primrose and Vit D are as also essential to support this condition. CoQ10 is a powerful anti-oxidant that supports the patient against the bacteria which are an underlying cause. Diana Mossop established the Institute of Phytobiophysics in 1990 at the cutting edge of vibrational medicine to bring safe, affordable and ethical health care to everyone. Good hormone balance is essential as both oestrogen and progesterone are needed to clear away old bone and build new, strong bone. If you have any history of osteoporosis in your family, or are concerned you may have brittle bones, these articles will give you more information.